Clarksville, TN – The Austin Peay State University Military Alumni Chapter and the APSU National Alumni Association hosted the Military Alumni Chapter Homecoming Dinner on Friday, October 26th, 2018. A reception was held at 5:30pm prior to the dinner. All funds raised through ticket sales were designated to benefit the CW3 (R) Scott Schroeder Scholarship Endowment and the Mrs. Joyce Luster Scholarship Endowment for deserving APSU students. Mike O’Malley, chair of the Austin Peay State University Board of Trustees, and APSU President Alisa White present retired Lt. Gen. Ron Bailey with his award. “It’s an honor for our chapter to recognize the extraordinary service of others and to establish endowments,” APSU Military Alumni Chapter President and retired Chief Warrant Officer Joe Shakeenab said. Retired Brig. Gen. Scott E. Brower, the University’s first military adviser in residence, served as the keynote speaker. Special Forces and Special Forces support personnel were honored during the event. 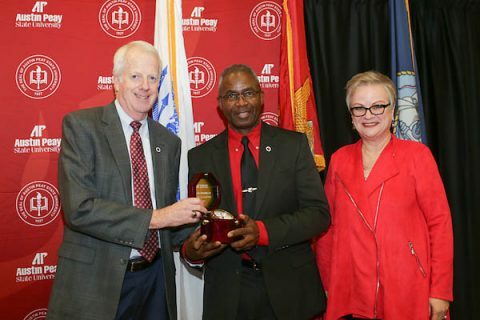 Mike O’Malley also presented the inaugural Govs Who Lead Through Military Service Award to retired Lt. Gen. Ronald Bailey, APSU vice president for external affairs. Austin Peay State University recently established the annual award to show appreciation for an individual or organization that has supported the University through leadership, service and advocacy, has brought both honor and distinction to APSU and has also exhibited exceptional civic responsibility and integrity. The recipient must be a veteran, active-duty military or provide significant support the APSU military community. Bailey is an Austin Peay State University alumnus and a former Governors football player. 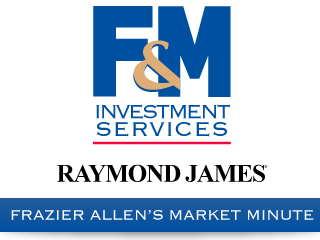 During his years as an undergraduate in the 1970s, he also participated in the University’s ROTC program. He went on to have a successful 40-year career with the U.S. Marine Corps. During that time, he oversaw the Marine Corps Recruiting Command, served as commanding general of the First Marine Division, as commanding general of the Third Marine Expeditionary Brigade and as deputy director for operations of the Joint Staff. He was also a Military National Fellow at the Council on Foreign Relations. For his final assignment, he became the deputy commandant for Plans, Policies and Operations for the Marine Corps. He now oversees the offices of advancement, communication and strategic initiatives at APSU.